Sterling Mirror and Glass, fabricators and installers of custom mirror and interior specialty glass headquartered in Lanham, Maryland, has expanded their Eastern Shore operations, signing a lease for 27,000 square feet at 377 Log Canoe Circle in Stevensville, Queen Anne’s County, Maryland. 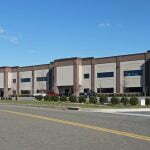 Originally located in approximately 9,000 square feet on Kent Island, additional space was required to accommodate the addition of a glass tempering oven and to provide the ability to better serve a larger distribution area. MacKenzie Real Estate Advisor John Foster represented the tenant in the transaction. For leasing inquiries or information on additional Eastern Shore opportunities, contact John Foster of MacKenzie Commercial Real Estate Services at jfoster@mackenziecommercial.com or 410.974.9336.